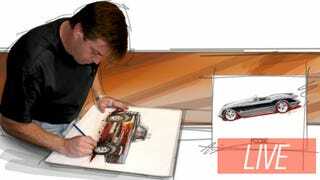 Chip Foose is one of the all time legends of the custom car world. He's already been here a couple of times to answer your questions, and now he's back for a third round. Fire away! To prep for the upcoming season of Overhaulin', which premieres Saturday March 23rd at 9 EST on Velocity, Chip figured he'd stop by once again to answer some more questions all of you might have on the show, his designs, or really anything. Have at it, Chip is here for the next hour!